While we’ve relied heavily on the Samsung Gear VR to show you the ins and outs of virtual reality, Samsung’s not the only company making VR headsets. Everyone from Google to Oculus to Playstation is investing in headsets. However, some of them are so far out of the price range of the average consumer, it’s just not worth trying out. Let’s look at the affordable HooToo VR headset and what it can do to give you a taste of virtual reality without breaking the bank. Unboxing the HooToo VR Headset was similar to unboxing the Samsung Gear VR. It came in a similar box and was laid out the same way. 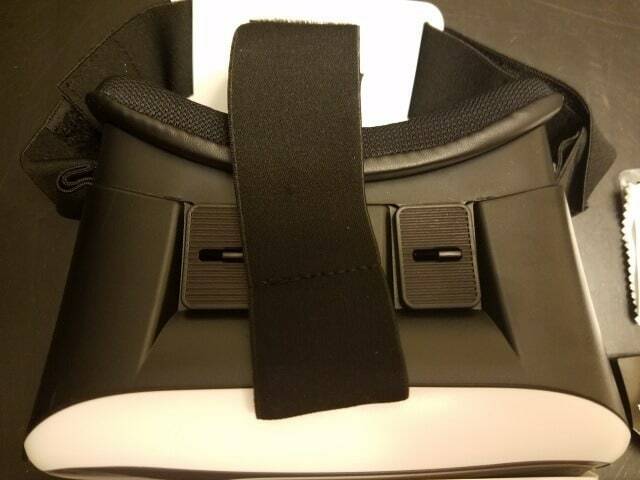 The box came with the headset itself with pre-attached straps to adjust on your head. 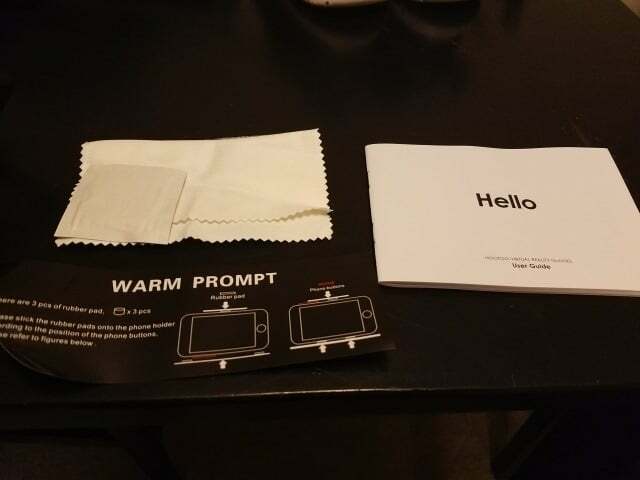 It also came with instructions on how to use the headset, instructions on how to add padding to the inside of the headset to hold your phone securely, and a cleaning cloth and wet wipe for the lenses. Adjusting the headset was similar to other VR headsets on the market. You have a set a straps you loose and tighten to get the right fit. Once your phone is in, you can adjust further to ensure everything is in place and doesn’t shift during use. Now, once your phone is in place, you can adjust the lenses on top of the headset both left and right and forward and back. This is different than the Gear VR in that you can adjust both directions for an almost better focus in most cases. I found the HooToo headset to be comfortable when wearing for upwards of 30 minutes or more, and it didn’t get as hot as the Gear VR. Adjusting the lenses was much easier for me because I wear glasses and can’t wear them when using this, or other, headsets. 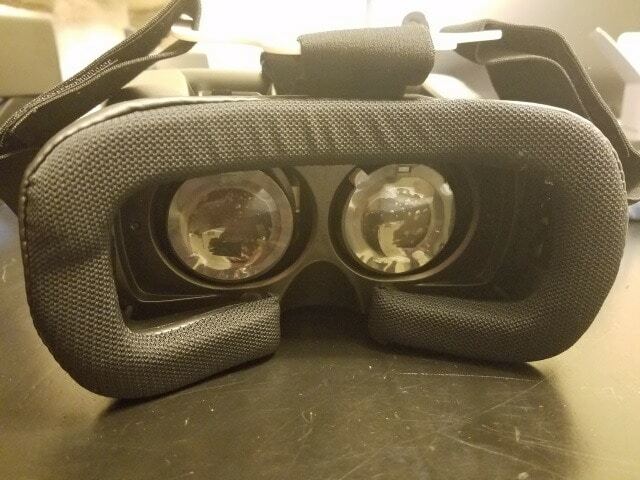 I was able to get a clearer focus because of adjusting the lenses two different ways and to each eye versus only forwards and backwards on the Gear VR. The HooToo VR Headset can be used by phones between 4.85” and 6.25” in width, 2.3” to 3.8” in length, and .29” to .37” in thickness. At this time, the Nexus 6P is not supported by this headset. I tested out the unit with the Samsung Galaxy S7. Setting up your phone in HooToo’s headset is a better different than the way you pop in your Android phone into the Gear VR. The HooToo headset can work with Android and iOS-based VR apps, such as Google Cardboard and Oculus. Although, both need some workarounds to get started with which we’ll touch on in a bit. 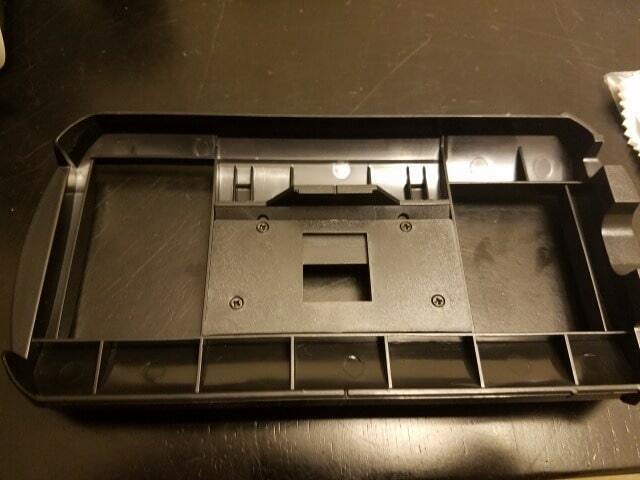 HooToo has provided some adhesive padding tabs to add to the inside of where your phone sits to ensure it’s in place and that the phone’s buttons aren’t pushed while in use. Make sure to follow the instructions to place these properly; unfortunately, once they’re placed, they’re hard to remove so switching out phones with different button placement may prove difficult down the line. Unlike the Gear VR, the HooToo VR Headset doesn’t come with any buttons to be able to navigate. It also doesn’t slip into a micro USB port that prompts Oculus to run, so in order to use VR, you have to trick your phone into using it. For some apps, like Google Cardboard, this is easier; for Oculus, you have to root your phone and change how the Oculus app runs which is easier said than done for 99 percent of users. For the purpose of this review, I used Google Cardboard to test out the headset’s functionality. You’re also able to download individual 360 degree and VR apps that don’t run on a platform through the Google PlayStore or iTunes Store to use with this headset and others like it. Note: In order to use the HooToo VR Headset and others without buttons, you’ll need to invest in either a Bluetooth controller or keyboard to gain the necessary functionality to navigate and select. I didn’t have any issues using Google Cardboard, since I had a QR code, to trick the app to work on the headset. 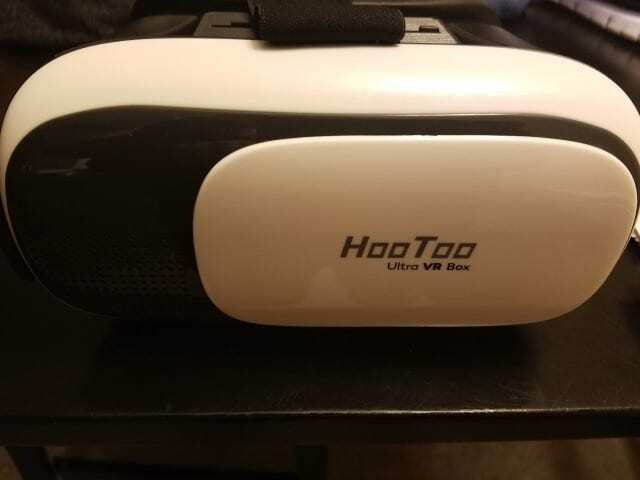 Overall, the HooToo VR Headset is a good value for the price tag if you’re looking for a generic way to use virtual reality through independent apps and Google Cardboard. If you want to enjoy VR without spending an arm and a leg, consider this headset in your VR adventures. Click here to Check Out the HooToo VR Headset. Disclaimer: The above company sent me the product reviewed in this blog. However, that has not swayed my opinion of their product one way or another.